**I received this book from Tyndale Publishing for the purpose of a review, however, I was not required to give a positive review and all the opinions are my own! Honestly, a satisfied soul and clean house seemed to be two foreign concepts for me and to tie them together?! I knew I had to read this book. I was excited to receive this book before it launched and read it in 3 days front to back! Once I started, I couldn't put it down. I want to tell you a bit how this book touched me and encouraged me as a wife, mother and homemaker. I love this right here. I've never been what you would call a neat freak...seriously, I remember dating my hubby and he came over one night...my room was a complete disaster! Let's just say, I'm pretty lucky he still asked me to marry him! haha However...15 years and 4 kids later...domestically challenged is the understatement of the decade!!! 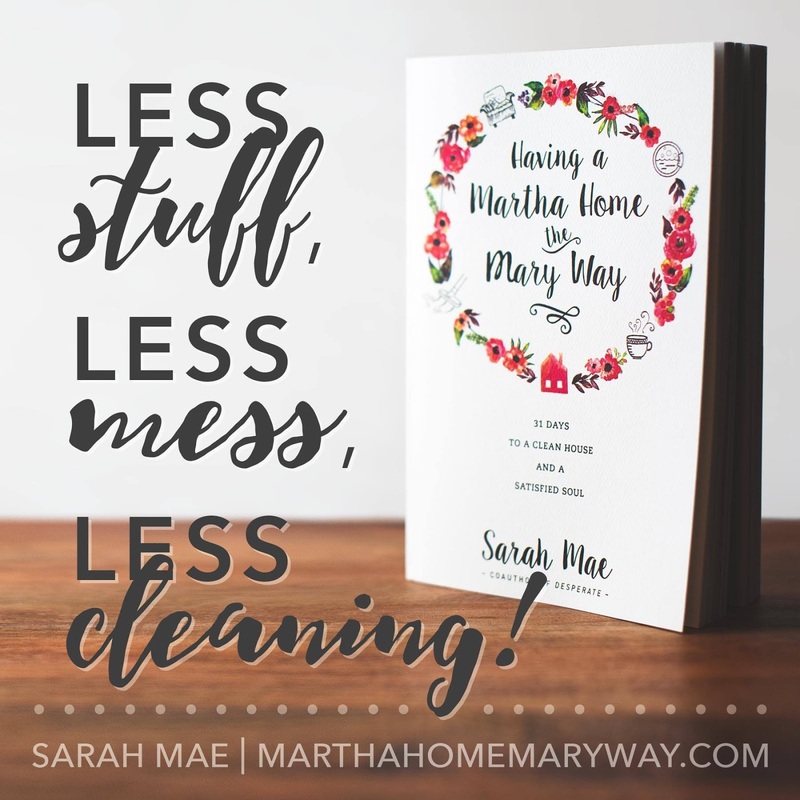 So to hear about a new book by one of my favorite homeschool moms and authors about getting a clean home in 31 days...I was all in! I knew I needed this book in my life. Little did I know, this book was about to reach sooooo much deeper than the dust bunnies under the bed... it would also clear the dust from my entire soul. 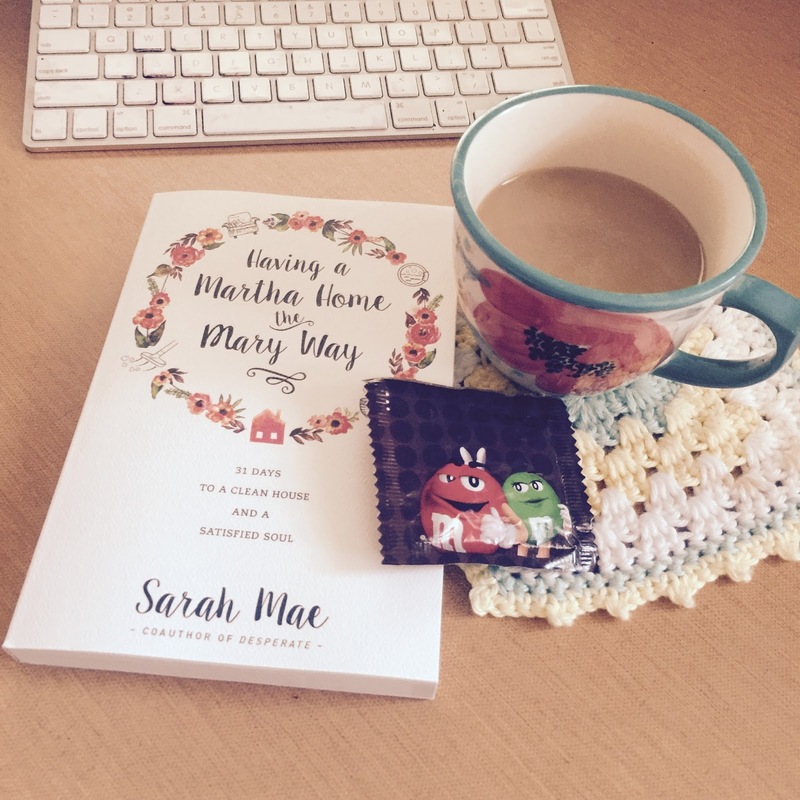 Sarah Mae has a way of writing that makes you feel like she's chatting with you right there on the couch, like a close girlfriend, over a cup of coffee. I pretty much became a bobble head as I read through this book as I could relate to so many of her stories. It seems funny to have so much in common with someone I've never met but it also made this book completely relatable and made me feel so much less alone. That last sentence alone in this excerpt from the book gave me so much hope and grace on those days that seem never endingly mundane. It felt like a giant hug. 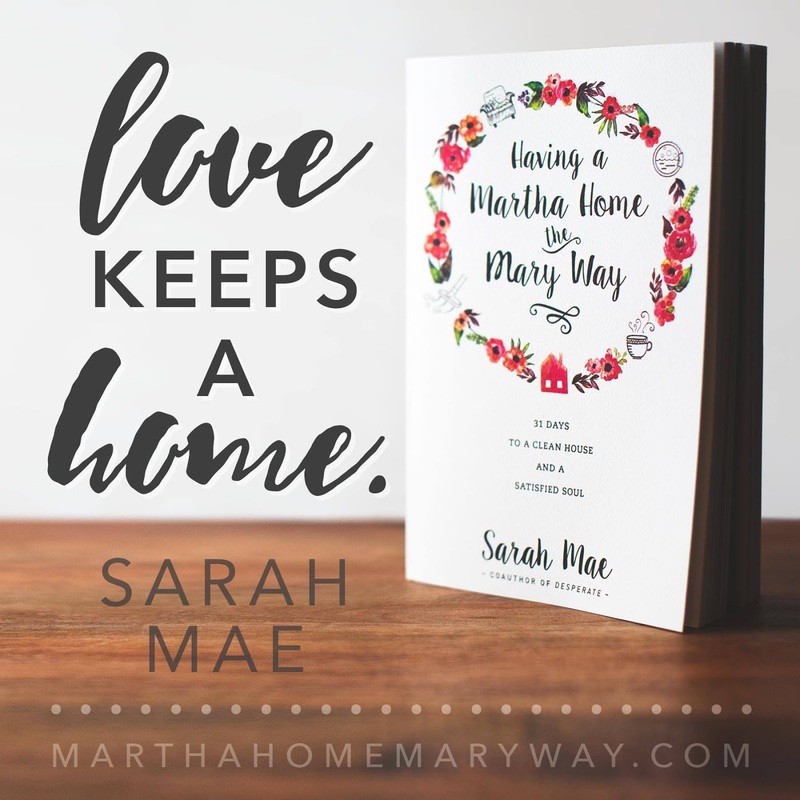 This book reminded me my worth and identity in Christ isn't rooted in my ability to clean or keep a clean home (or anything *I* DO), but rather to go deeper in the Word and get closer to Him (through the Mary challenges.) I needed that more than any other truth or cleaning plan that is laid out in this book. 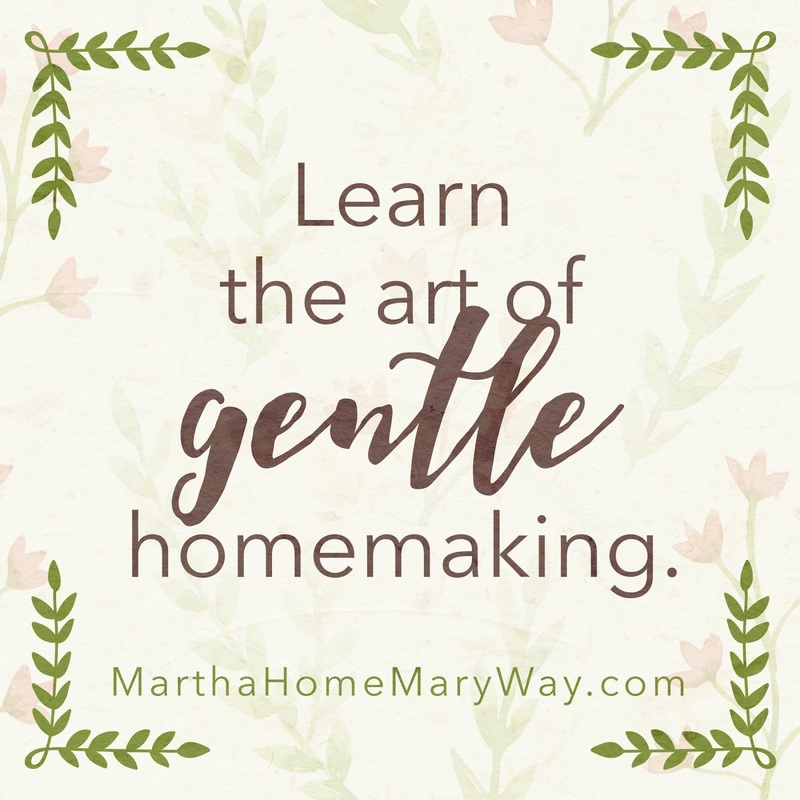 In doing that, however, I am also encouraged the rest will follow (through the Martha challenges) with a heart toward serving my God and my family through a tidy home. In this world of social media, where all we see are the picture perfect parts of life, it can make us feel like we are always falling short. This book removes that perfect veil while giving you bite sized manageable challenges to clean our homes but more importantly bring us back to where it all begins...at the feet and word of God. 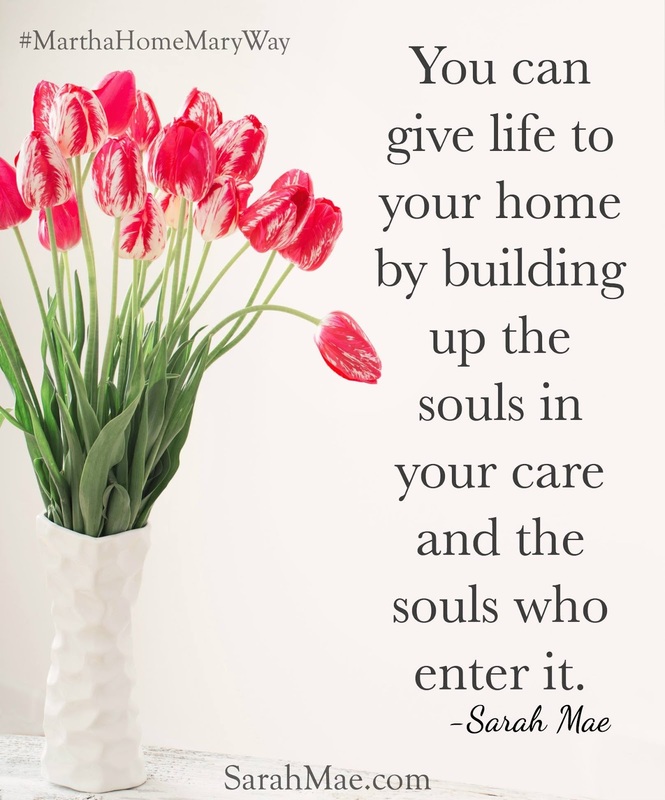 Filling us with Grace while we create a warm and inviting space in our homes. So, that brings me to something I am REALLY excited about. In April, I am going to re-read this book, slowly this time...intentionally following the challenges each day and working through the companion journal. 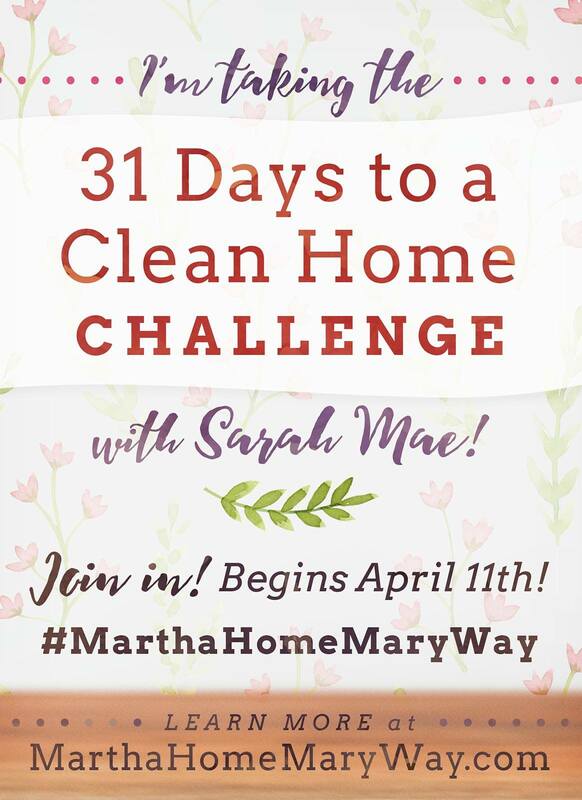 I started a Facebook Group so my friends could join me and we could encourage, cheer on and inspire each other as we go through 31 Days to a Clean Home Challenge together. 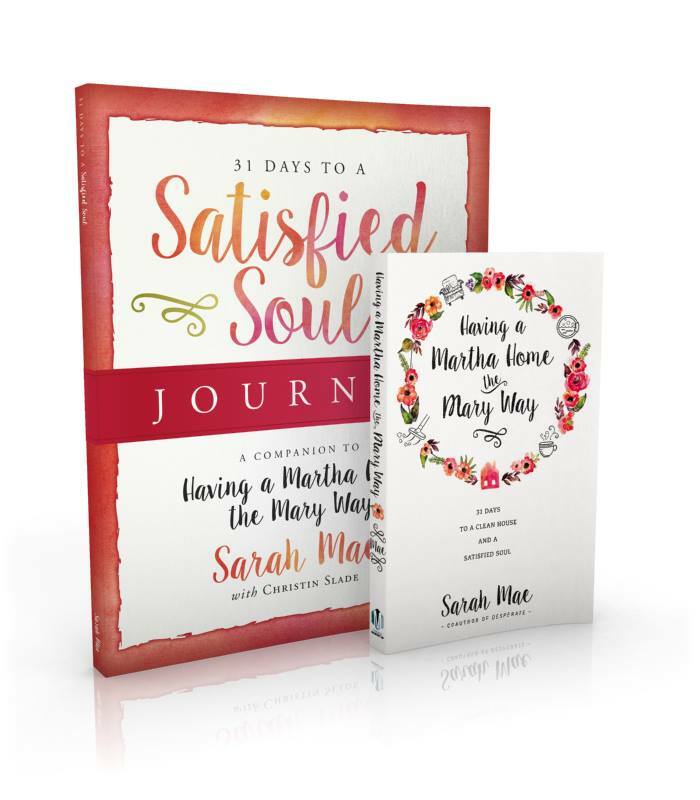 We will officially start on April 11 along with Sarah Mae and all the other Mary's and Martha's who joined in the prelaunch of this awesome new book! I would like to invite each of you to join me. I am not going into this to lead anyone but secretly (maybe a little selfishly) hoping to find some peeps to keep myself accountable! I am so excited to go day by day, deeper into the Word of God while creating a peaceful and welcoming, grace-filled home for my family. I truly hope you will join me! Because....this is what matters. I love this book so much that I purchased one to give away to one of you! I would love all my friends to read it...whether cleaning comes naturally or not...you will get something from these pages, just for you, like I did, as you read it. Feel free to enter below and share this blog post! Cleaning can be fun...especially with friends!